every summer i look forward to your myrtle post. i cannot grow mine. i have 2 of them in my front yard and for about 3 years now they haven't even grown an inch. perfect flower color to be paired with that gorgeous blue sky! I have never seen this flower; it's much more lovely than I could picture it. Oh, yes!! Superb skies and flowers and a gorgeous capture for the day, Carver! I do love your composition!! Hope you have a lovely weekend!! I love your crepe myrtle. So beautiful against the sky. 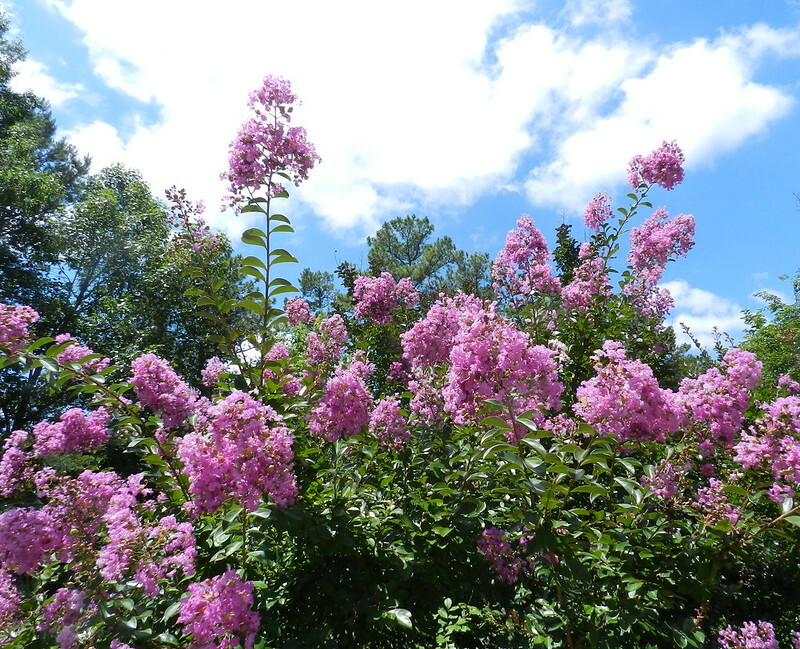 Is this crepe myrtle, it is lovely against the pretty sky. Beautiful photo, Carver. Have a happy weekend! Beautiful flowers against the sky. That's a glorious shot Carver! Looks so lovely, Carver. Wonderful colors. Oh gosh - that is so pretty! Wonderful combination of those lovely pink flowers and the blue and white sky. The magnificent flowers were beautiful mignonette this tinted sky scenery!